How about a little retreat from beautiful but busy Zagreb? Amazing sunsets, mushrooms picking, medieval towns and castles, walks through old vineyards, hidden treasures for food lovers, thermal springs, and so on and on. There are many things to do after you've seen it all in Zagreb. There is a region of Zagorje just on the other side of the mountain Sljeme you saw above Zagreb, when you got off the plane. The region known for all the things mentioned above. Today we will take you to places that we think are worth seeing around. The first spot is the nearest one. Located literally around the corner of the western Zagreb's vicinity. 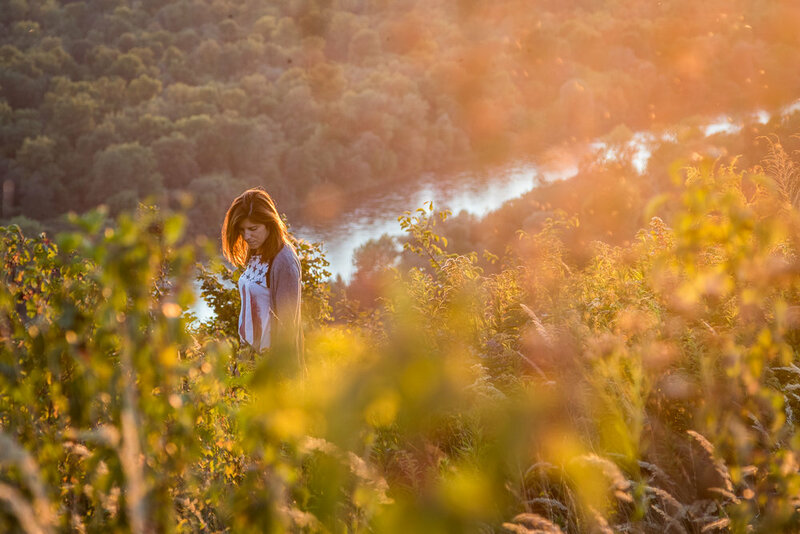 This place offers amazing sunsets over meandering Sava river. Don't expect any restaurant or caffe. But if you are lucky, there will be no one except you. Take public transport - bus or train - to Gajnice or Podsused quarter. From there ask taxi driver to give you a lift to the end of "Put kamenim svatovima" street. Are you a mushrooms forager or just a nature lover? There is something worth seeing after a visit of a historical town of Samobor with its calm small-town atmosphere. Full of colors, especially in autumn days, here you can find silence and tranquility. 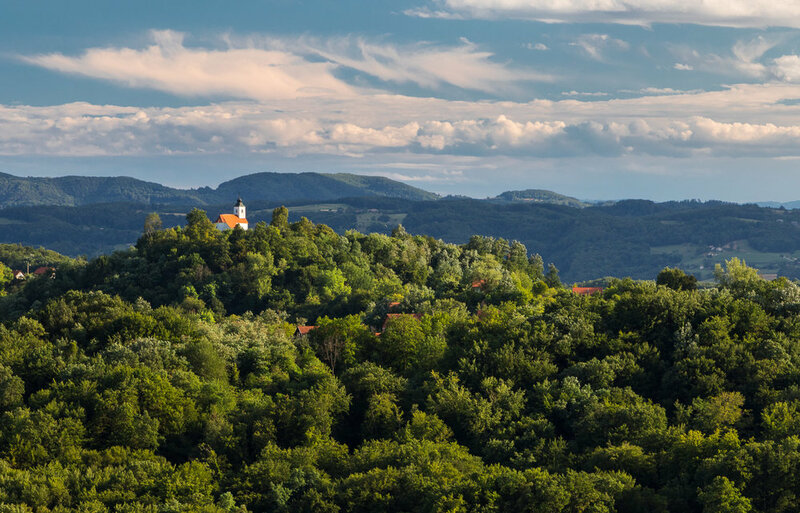 Take a taxi from Samobor to the top of the village Mala Rakovica and you are there. We just recommend you to get a map or GPS so you get back to the same point you were dropped to. Well maintained late-medieval castle with museum from 15th century located near town Desinic. A bit further though, there are still temptations waiting for you here. Beside the beautiful castle interesting for photographers, we recommend you to visit very authentic winery-restaurant Gresna gorica just few minutes’ drive away. In addition to all this, there is a thermal healing water. 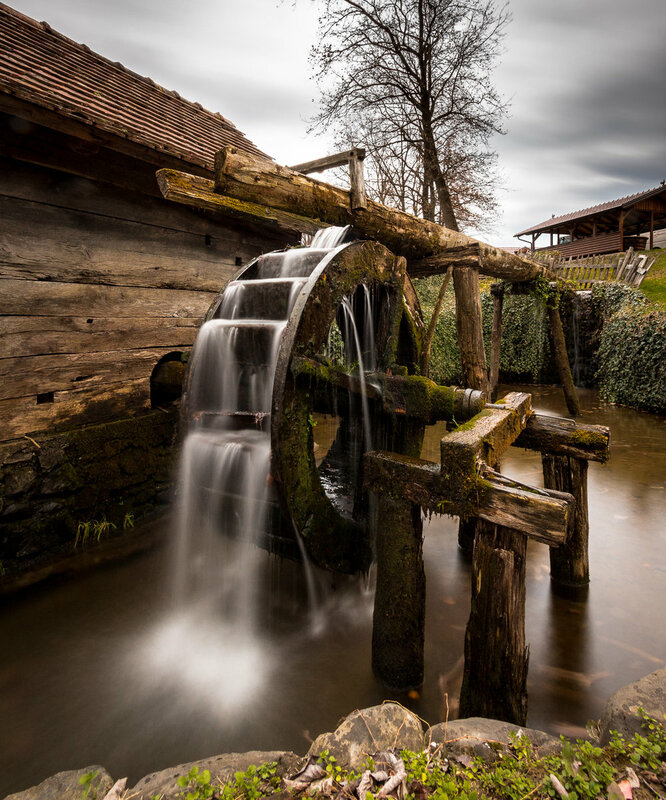 Springs all over Zagorje region. The nearest indoor/outdoor spa resort is Tuheljske toplice that is on your way back to Zagreb. And if you are here during summer, don't miss an international festival of short films they've been organizing directly in the castle Veliki Tabor since 2002. Public transport might be quite tricky so we recommend you to get there by car. 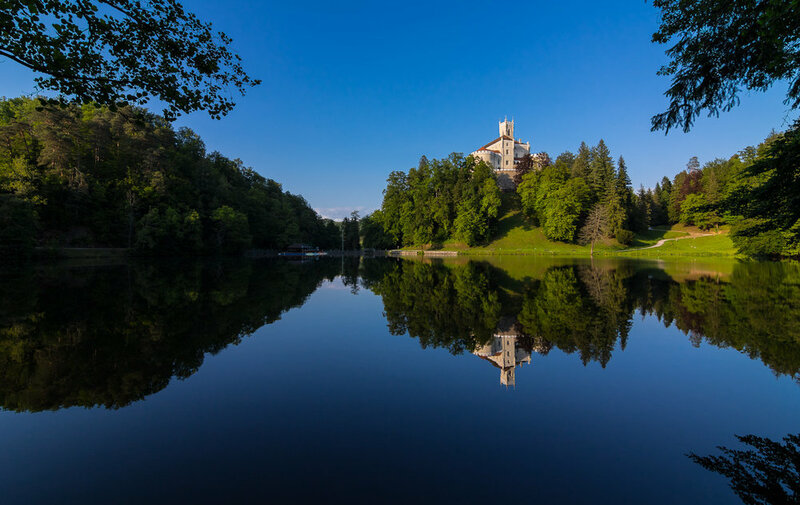 Castle Veliki Tabor is 70 km driving from the Zagreb city center and the spa is only few kilometers from there on your journey back. Fancy for gastronomic experience of Zagorje region? A place for food lovers who are craving for specialties of local cuisine. Back in the old days, a mill had an important role in a village, and this old wooden one is no less important even today. Well, rather the restaurant behind. So, if you are a foodie, just go there and treat yourself. And of course, good to relax after a good meal - we are in Zagorje region with plenty of thermal spa resorts. The closest one, Terme Jezercica spa in Donja Stubica is just few kilometers away. You can get there by car, but also a train is easy to travel with. From Zagreb to Donja Stubica village, and from there take a taxi to Majsecov mlin. The must-see place from travel guides. Trakoscan castle. One of the most photographed historical buildings in continental Croatia. Apart of the amazing museum up in the castle, there is something more if you are a sporty person. More than 5 kilometers long running trail around the castle lake. Fresh air, beautiful scenery, good workout. Since there is never enough of delicious food, there is a restaurant of hotel Trakoscan across the street where you can get local specialties for reasonable prices. We also recommend you a scenic whole-day hiking trip to the mountain Ravna gora that starts by marked hiking trail straight from hotel Trakoscan. Stay tuned, we'll bring you a nice photo story in some of our future articles. We recommend you to get there by car. A bit more than an hour driving from Zagreb.